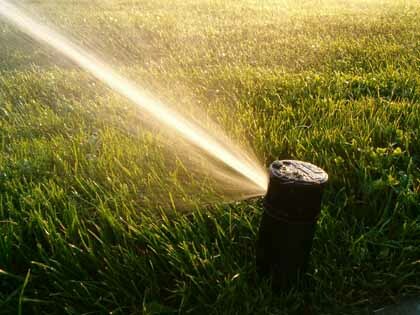 Begin your environmentally friendly yard with a plan. 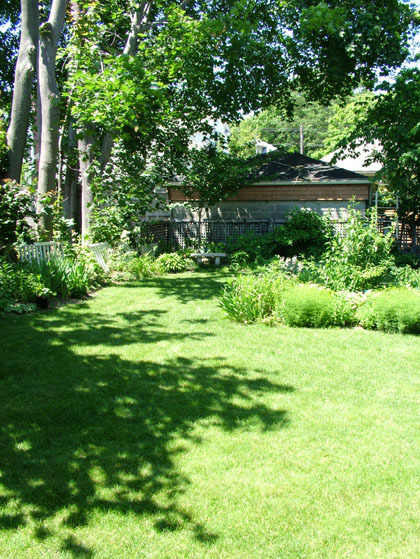 Sketch your yard showing the location of existing structures, trees, shrubs, and grass. Note which areas are in full sun, dappled sun, and shade. This is important in making your plant selections. Native plants are almost always the best choice for trouble-free gardening. Once established, native plant species require only minimal attention from the home gardener. This translates into a reduction of extensive soil amendments, less watering, less need for the use of chemicals, and less pampering. A new consciousness has emerged among gardeners, both professional and amateur. People are overcoming the desire to dominate and harness nature in their gardens. Instead, a sensitivity to regional conditions has developed, increasing the use of native plants and naturalistic styles such as rock, prairie, desert, and meadow gardens. Incorporate a variety of plants. Diverse plantings provide food and cover for a variety of living things. Native plants aren’t indestructible, but as a group they are hardier than exotics because they are adapted to their locales. They are the most likely to be the only survivors of “record” freezing temperatures, hail, drought, or other climatic catastrophes that can damage your yard. Native plants, the ones that grow around us on the roadsides and vacant lots, and those that grow in old hay meadows and quiet woods where few of us see them, conserve their resources because nature has spent thousands of years adapting them to their particular soil and climate. Properly placed trees and shrubs can save home heating and cooling costs. Planted on the west or southwest side of a home, large deciduous shade trees will shelter the home from the onslaught of the hot summer sun. In the winter, the trees lose their leaves and allow the sun’s rays to warm the house. Shrubs close to the house help insulate the house from hot and cold temperatures. Layers of plants of medium to tall size will help eliminate street noise. Planting or preserving vegetated slopes will slow water and wind movement, decrease soil erosion, help replenish ground-water reserves, and reduce runoff. Conserving soils and preventing water runoff safeguards our water quality, and improves the overall ecosystem stability. Much of our irrigation water and rainfall runs off the land, eroding depleted and unprotected soils that are unable to absorb it. The excess sediment from your lawn and many others yards can smother aquatic life in the receiving bodies of water. Excess sediment can also increase the cost of operating water supply reservoirs. You can find garden tools, gardening gifts , reel mowers, compost tumblers at Clean Air Gardening.